Our latest eBook explores the topic of Institutional Planning for higher education. A lot is riding on universities’ performance metrics: enrollment and recruitment numbers, student outcomes and livelihoods, and funding. In fact, more than 30 state governments in the U.S. have policies or formulas that allocate funds to public institutions based on student performance factors 1. 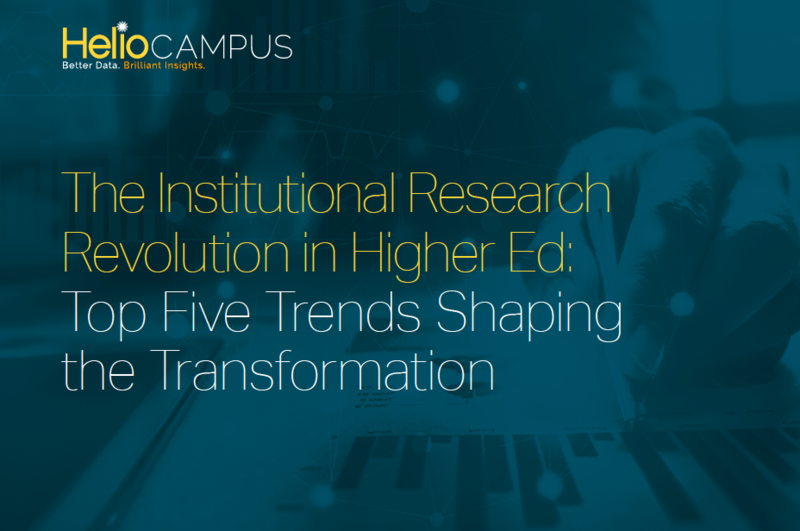 Universities with the ability to improve performance with comprehensive and data-driven institutional planning stand to fare better than their peers. 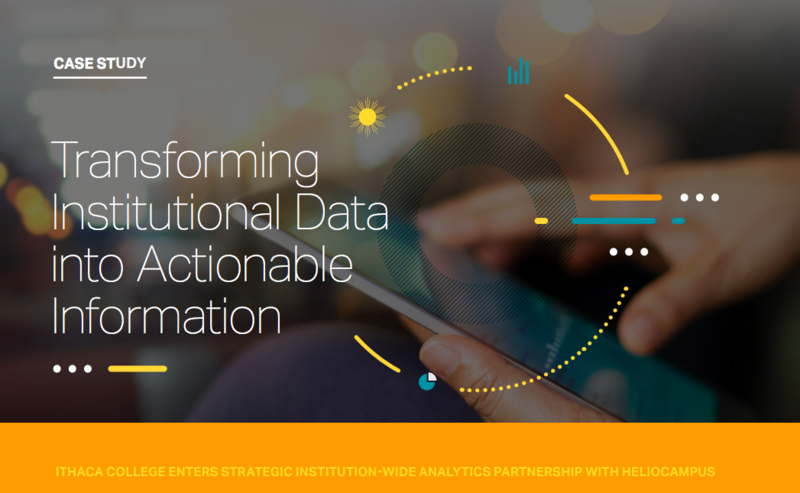 Recently we partnered with Inside Higher Ed and Harford Community College's President, Dr. Dianna Phillips, for a webinar on Implementing Transformational Analytics Strategies. 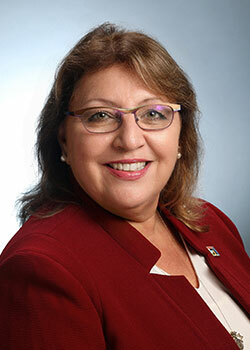 The webinar featured an engaging discussion that started with sharing the challenges facing Harford Community College (HCC) (and other community colleges), and why HCC chose to invest in strategic planning tools and technologies to solve them. The rise of data analytics. Government efforts to introduce accountability stats for colleges and universities. Students’ increased voice in institutions of higher education. 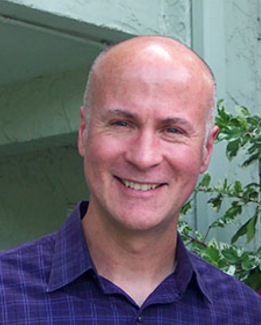 These are a few of the forces revolutionizing the field of institutional research. This shift is already underway, but what is leading it? Experts point to these five developing trends as informing and shaping the transformation. In higher education, it’s widely understood that student success and institutional success go hand-in-hand. As a result, colleges and universities spend countless dollars trying to support students on the journey toward achieving their degrees.But are these attempts working? What does student success really look like? And what barriers might be preventing students from succeeding in a specific institution? 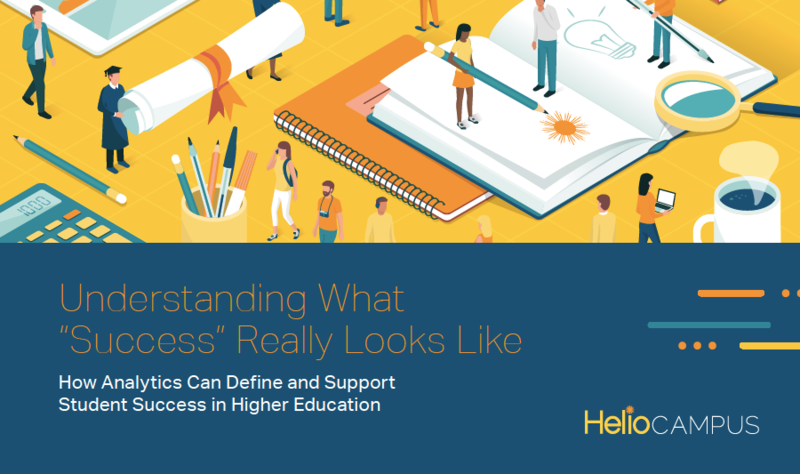 To ensure they’re making the best spending decisions and allocating limited resources in the most effective ways possible, colleges and universities require a means to measure student success and institutional opportunities – and that’s where analytics come in. Another great EDUCAUSE conference is in the books! 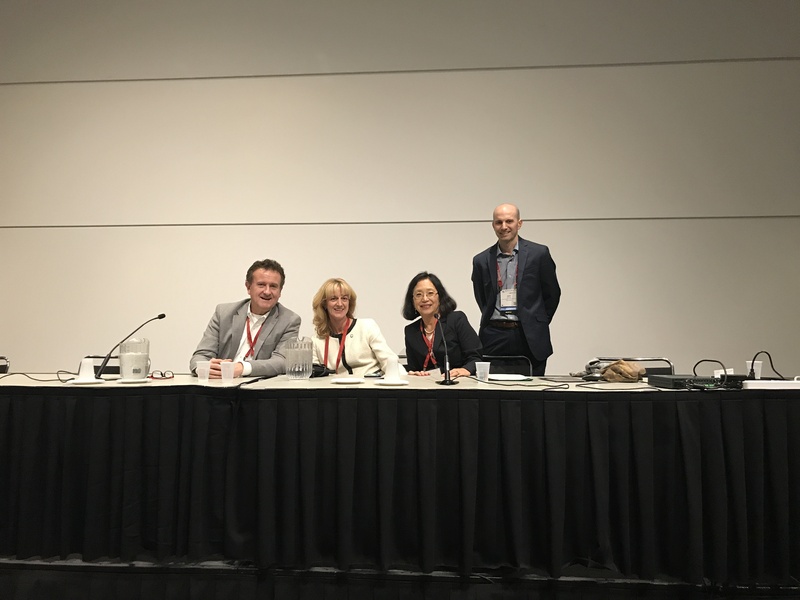 Last week, our team had the opportunity to attend this important conference to connect with clients & friends, and moderate a panel of education leaders. Colleges and universities are under considerable pressure, both from within, as they work to fulfill their educational mission, and externally, as they attempt to understand and curtail drops in enrollment and retention. The latter is particularly troubling, as more than half of public colleges and two-thirds of private institutions failed to meet their enrollment goals in 2016.1 Many higher education institutions are embracing analytic solutions to help them unravel enrollment, persistence, and retention challenges. By analyzing academic history, student behavior, co-curricular involvement, and other pertinent data, colleges and universities can recruit, attract, and enroll students who have a higher likelihood of academic success. This allows them to focus on efforts to identify students that need extra support who are already enrolled, and make interventions, increasing students’ likelihood to persist. Institutional data is only useful if it is leveraged properly. 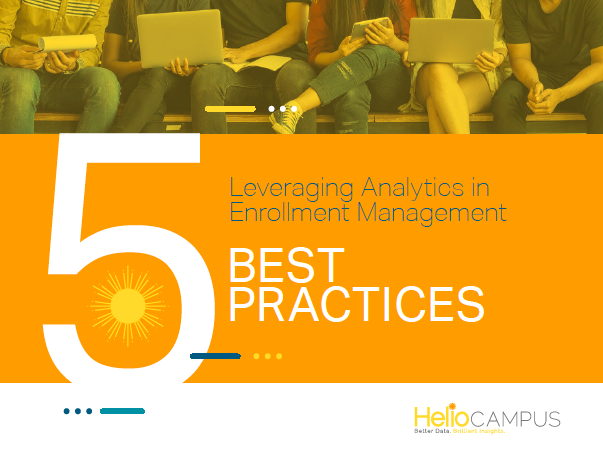 The following are five best practices for enrollment management practitioners to consider when deploying an analytics strategy. 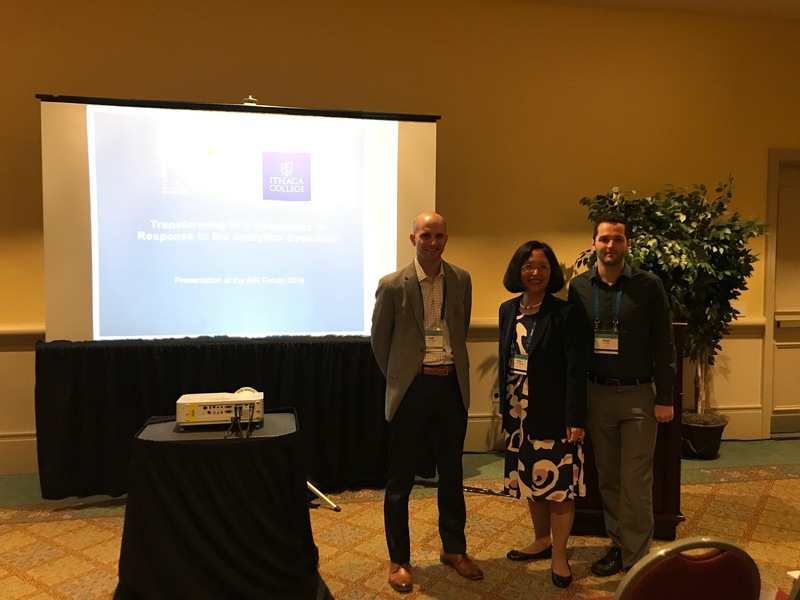 Last week the HelioCampus team visited sunny Orlando for the AIR Forum. This is an important event that brings together higher education professionals working in institutional research, assessment, planning, and related postsecondary education fields. We spent two jam packed days talking to attendees about their analytics efforts, supporting our client partner presentations and getting feedback on our IPEDS Explorer tool. Ithaca College wanted to deepen their understanding of the patterns and trends that lead to better student outcomes – and ultimately student success. To do so, they needed to invest in an institution-wide analytics infrastructure that would reveal insights into the connections between curricular, co-curricular, and student life variables and help define their impact on the overall student experience. They partnered with HelioCampus to fulfill their vision. 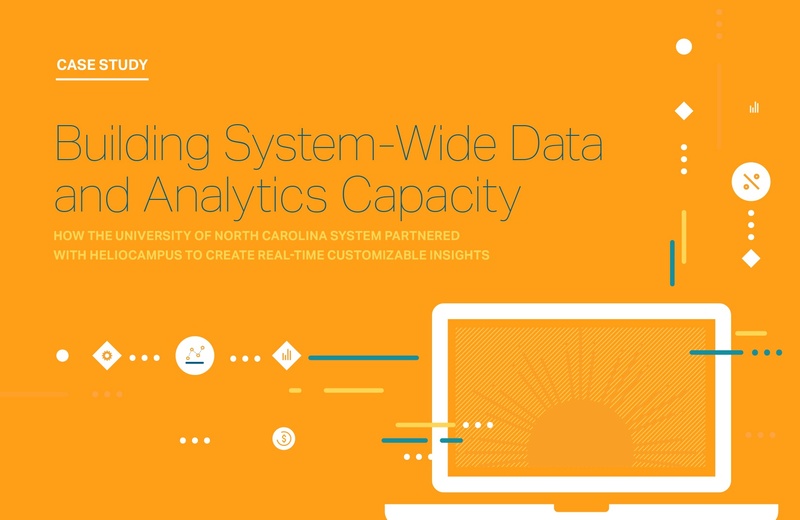 The University of North Carolina System Office sought to modernize the way data are shared among the constituent institutions and move to a flexible platform that would allow for broader access, better reporting, improved visualizations, and deeper insights. An additional challenge was to make the data easy-to-use and customizable for multiple user groups, from systems administrators to academic department heads. As the second state system to join edX an online learning destination and MOOC provider founded by Harvard University and MIT in 2012, the University System of Maryland partnered with HelioCampus to assist with the system’s edX analytics initiative called USMx. HelioCampus is serving as the data czar for the USMx courses, totaling over 100,000 enrollments since its launch in July of 2016. The ability to explore and mine the data across the USMx platform was a primary driver of this partnership. © 2017 HelioCampus. All rights reserved.